Fruity, refreshing cocktails are all the rage during the hot summer months, but it can be hard to make bar-quality mixers at home. Maureen Petrosky, author of "The Cocktail Club," shows TODAY how you can make delicious drinks (and an appetizer!) that'll satisfy a crowd this Fourth of July. In a champagne flute, pour in the Aperol and top it with the Prosecco. In a small saucepan, combine the sugar and fresh ginger with 1 cup of water. Simmer the ingredients over medium-high heat, and stir until all of the sugar is dissolved. Let the ginger steep over low heat for about 20 minutes, or longer if you want your cocktail spicier. Once done, strain the syrup into a container and let it cool completely. On a shallow plate, combine the salt and ground ginger. Use the lime wedge to moisten the rim of a glass, and dip it lightly into the ginger and salt mixture. In a shaker filled with ice, add the tequila, 1 oz. of the ginger-flavored simple syrup and the lime juice. Shake until chilled. 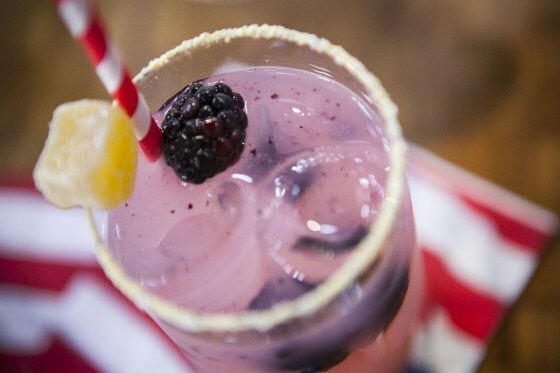 Lightly muddle the blackberries in the bottom of your glass, then add ice. Strain the shaker into the glass, and garnish with a sliver of crystallized ginger. In a large, freezer-safe container, combine all of the ingredients and mix evenly. Freeze for 1 hour. After 1 hour, stir the mixture again. This won't freeze solid, but you'll get a great, slushy mix. Scoop the slushies into martini or wine glasses and enjoy. Hoda Kotb and Jenna Bush Hager learn to make cocktails with Maureen Petrosky on the TODAY show in New York, on June 26, 2014. Toss the mango slices with the lime juice. 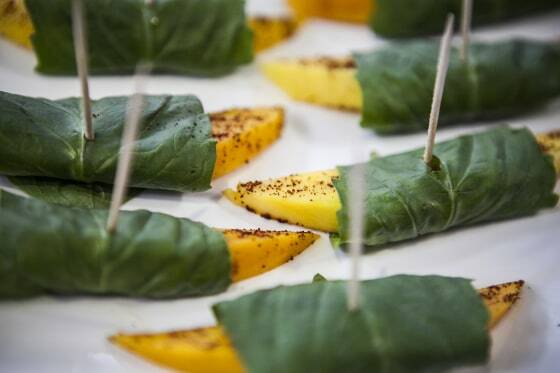 Sprinkle evenly with the chili powder, and wrap 1 basil leaf around each piece, securing with a toothpick. Fan the watermelon on a rimmed plate — the plate (or platter) needs a slightly raised rim so the cocktail doesn't pour out. Place the plate in the freezer for about 20 minutes to get an icy chill on your melon without freezing it solid. Serve the coarse salt in a small bowl alongside the plate for guests to sprinkle on their edible margarita.